arthavidhya.com website is owned by ePalmleaf ITES Pvt Ltd. Basic Personal information such as email id, address, mobile number, date of birth, parent's details will be collected in the registration form to create a user account for free. You will be uploading a soft copy of your photograph and any one of the documents such as PAN Card/Aadhaar/Passport/Election Card/Driving License as ID proof as per the requirements specified by National Skill Development Corporation (NSDC) . The photograph will be used for printing the digital certificate generated after completion of the course. While enrolling to any of the courses listed in our website by paying through cheque or DD, we collect information viz., Cheque / DD number, Bank name. Messages posted in Discussion Forum, Reach Faculty, Chat room, Feedback form and Emails/letters will be collected and saved. 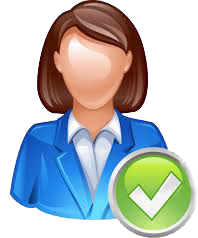 We use this information to provide better user support and to troubleshoot problems if any. Testimonials collected may be posted on the website homepage. We will share your personal information with NSDC (National Skill Development Corporation), company set up by the Ministry of Finance, under Section 25 of the Companies Act, 1956 corresponding to Section 8 of the Companies Act, 201. This company and its affiliates may reach you on your registered mobile number as part of their verification process. During course subscription if you choose to pay online, our payment gateway service provider will collect some additional information based on his regulatory requirements. In case you upload your Resume with us for the purpose of placement support, the same will be shared with other companies to assist you in placements. Arthavidhya.com is integrated with third party chat service provider to help connect with students during their learning process. Arthavidhya.com shares user information Viz., Name, Mobile number, parents name, partner details and email ID. Our Website is secured by installing a SSL certificate and the https protocol allows secure connections from a web server to a browser. SSL is typically used to secure credit card transactions, data transfer and login information. You may access and modify certain profile information (updated in our website during registration) when you login. 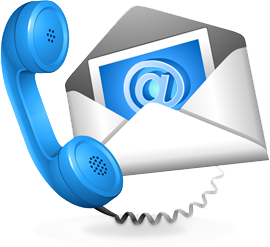 You may also request correction or deletion of certain personal information at any time by contacting us.